Many say mailing letters is a thing of the past, but have you visited your mailbox lately? It's full of junk mail and offers from businesses. But it's important for students to still recognize the importance of mailing and understanding the layout of mail received. You can get as fancy or make it simple. I found a box and made dividers out of small thin wood, but you can use cardboard. 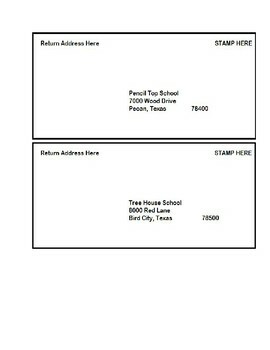 One section holds the envelope, other sections hold the zip codes, return address, mailing address and the stamps. 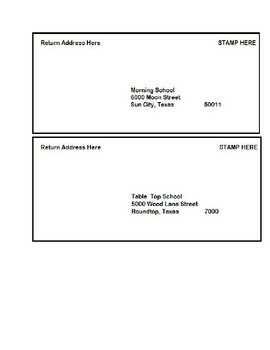 You can begin to save your own used stamps for future use. 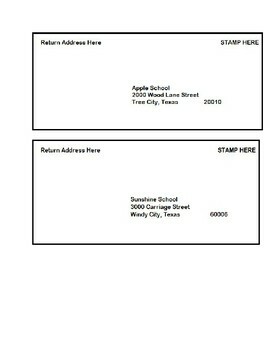 The student will get one envelope, place the return address, place the address of where they are sending it, place the matching zip code and last place a stamp of their choice. Once the envelope is ready for mailing they place stack them to the side. 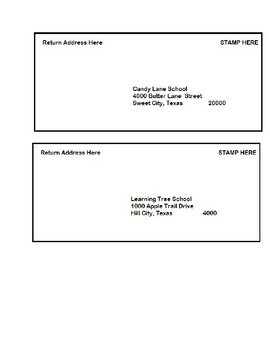 For students with higher cognitive skills you can include in the task, reasons for having a return address, zip codes and have them do research on how much stamps are.